Make a cat lover purr. 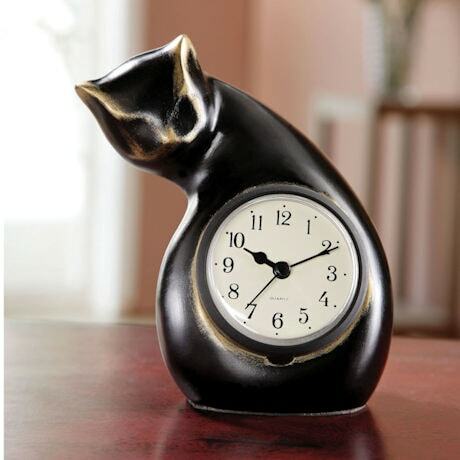 Small clock for desk or bedside is heavy cast polystone with a warm bronze finish. Classic clock face has a sweep second hand. 5"w x 5"h x 3 ½"d. Takes 1 AAA battery (not included). Extra shipping charges for this item: $ .